Cameron Beaubier showed the Superbike field how it’s done at the opening race of the Sonoma MotoAmerica round, proving unbeatable as he went on to win by 7.2 seconds. 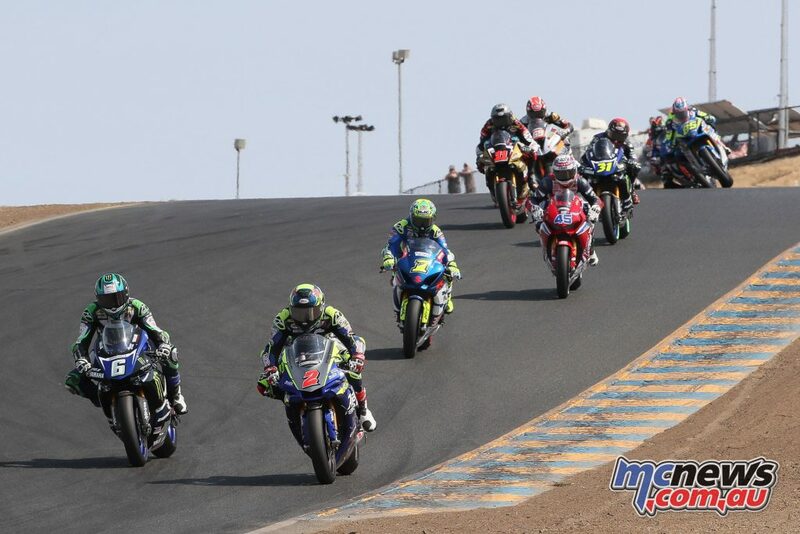 Beaubier battled with Josh Herrin for a lap before getting in front and staying there. After five laps, Beaubier led by a tick over five seconds and he stretched that to eight seconds before easing off and maintaining a seven-second gap to the end of the 22-lap race. The battle for second went to Herrin, the Georgian besting Toni Elias by just over a second with those two running in formation for the duration. Elias will continue to make changes to the Suzuki in an effort to be closer tomorrow, he said. Adding that he’d also made a bad tire choice. Fourth place went to Garrett Gerloff, the Superbike rookie keeping Herrin and Elias honest for most of the race before finishing 6.8 seconds behind on his Yamaha Factory Racing YZF-R1. Jake Lewis finished fifth for a seventh time on the season, the Kentuckian chasing Cameron Petersen when the South African pulled into the pits with a foot injury. That left Lewis to a lonely fifth. Cameron Beaubier showed today that he really is unbeatable at Sonoma Raceway, the rider sweeping to his second Motul Superbike win of the Cycle Gear Championship of Sonoma and running his win streak in Northern California’s wine country to four in a row. 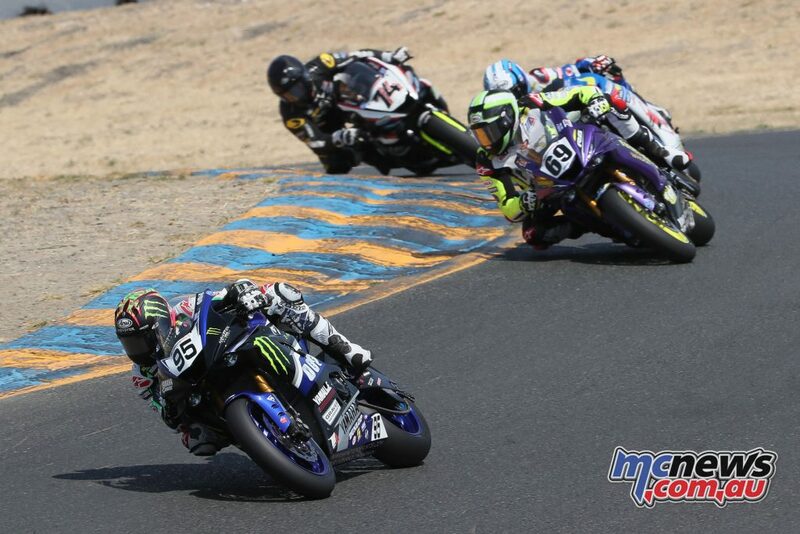 Since MotoAmerica brought AMA Superbike racing back to Sonoma Raceway last year, Beaubier is unbeaten, going a perfect four-for-four with another runaway victory on a sunny Sunday Sonoma day. 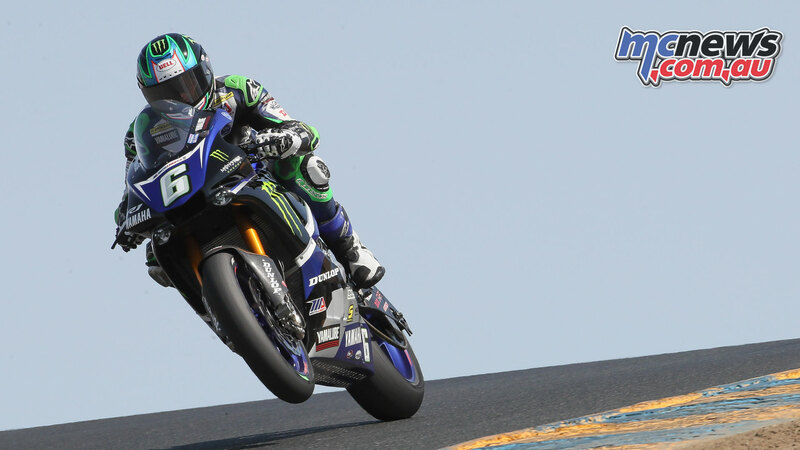 The win was the seventh of the year for Beaubier and the 31st of his AMA Superbike career. He won by 6.5 seconds after leading by 1.1 seconds after one lap, 4.3 seconds after three laps and 6.4 seconds after five laps. 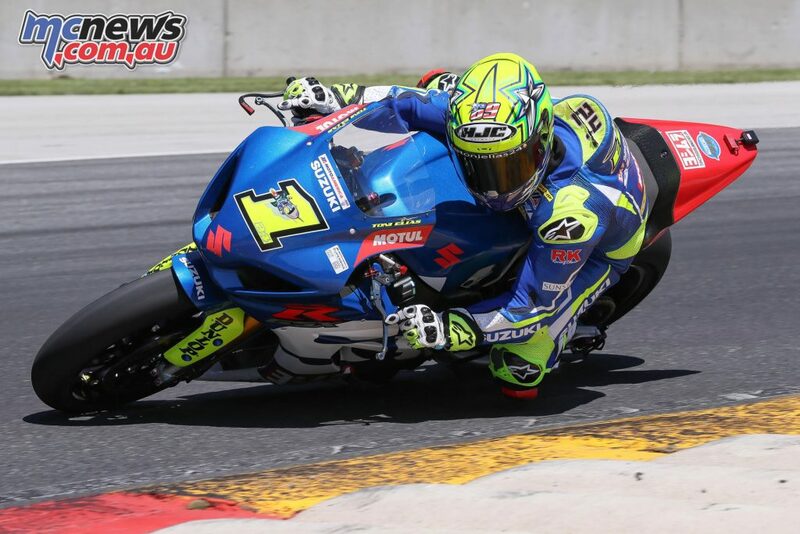 The lead would continue to grow to over 10 seconds before the two-time MotoAmerica Superbike Champion slowed his pace. Toni Elias and Josh Herrin again fought to see who was second best to Beaubier and today that was Elias, the Spaniard turning the tables on Herrin after the Georgian beat him for the spot on Saturday. Herrin fought to the end, running off in the chicane with just a few laps to go. Garrett Gerloff again finished fourth on the second factory Yamaha, the Texan in the mix for second early on but eventually finishing some four seconds behind the Elias/Herrin battle. He in turn was 2.7 seconds ahead of Mathew Scholtz, the South African barely beating Jake Lewis for fifth place. Roger Hayden finished a lonely seventh, well behind his Kentucky neighbor Lewis but well ahead of Danny Eslick, the Oklahoman barely beating Kyle Wyman. Just .230 of a second separated Eslick and Wyman in the battle for eighth. With seven of 10 rounds complete in the 2018 MotoAmerica Motul Superbike Championship, Beaubier leads Elias by 63 points, 298-235. Herrin is third with 187 points, 24 ahead of Scholtz. Gerloff rounds out the top five with 157 points, six behind Scholtz. In Saturday’s Supersport race, championship leader JD Beach launched his Yamaha YZF-R6 from third position on the starting grid, got the holeshot, and looked to have the measure of the field. Polesitter Valentin Debise, along with Hayden Gillim hung tough through the majority of the race. Gillim and Beach battled it out for several laps with Gillim making it past Beach, if only for a short time. Beach moved back into the front, and Debise eventually got past Gillim. The trio took the checkers in that same order with Beach the winner, Debise about two and a half seconds back in second place, and Gillim completing the podium in third. Beach now leads the Supersport Championship by a gaudy 91 points. 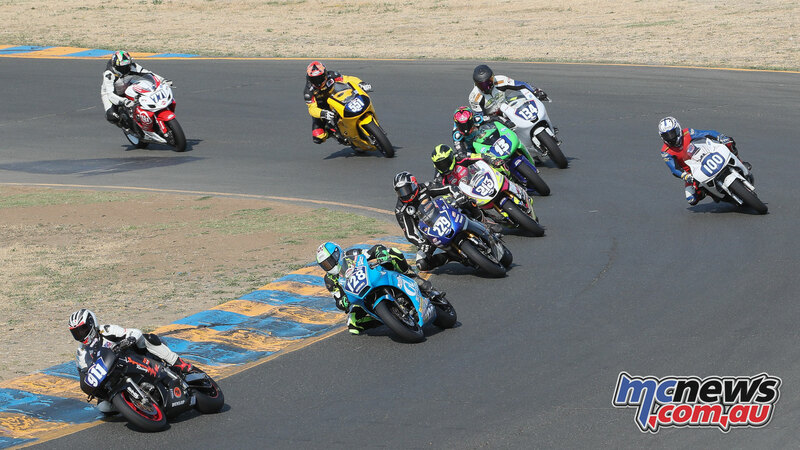 In Sunday’s Supersport race,JD Beach used his flat-track-perfected starting skills to get a perfect jump off the line and immediately into the lead, which he never relinquished for 19 laps all the way to the checkered flag. It was the ninth race win of the year for Beach, and the most victories in a single season for the Kentuckian, who now holds a triple-digit lead in the championship with a 100-point advantage. Valentin Debise finished second on Sunday, just as he did on Saturday, and Hayden Gillim also repeated his result from Saturday with another third-place finish on Sunday. 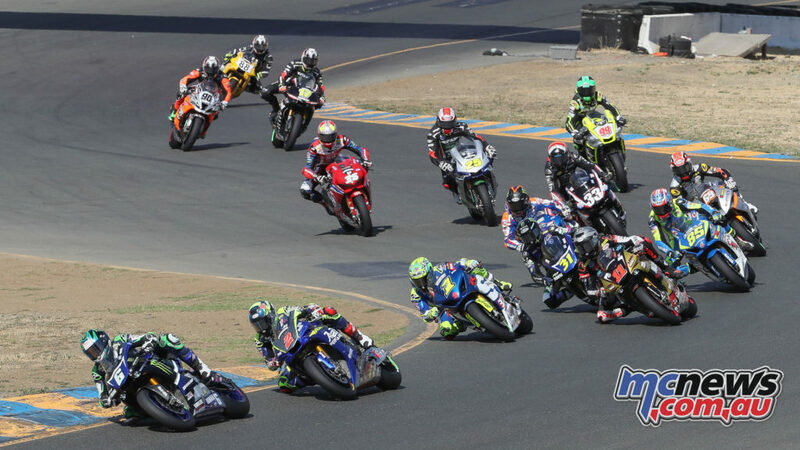 Sonoma Raceway is a technical track, with lots of turns, changes in elevation, and tight corners. It’s a rider’s road course that challenges even the best racers, including racers who are local to the area. 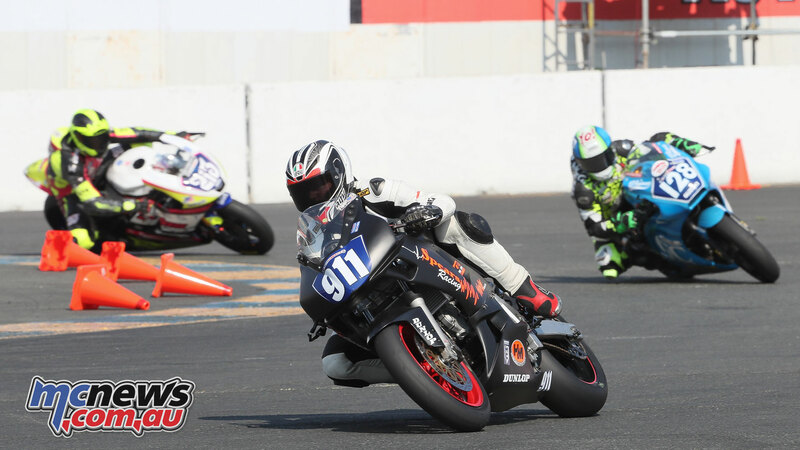 That situation factored into the outcome of Saturday’s Liqui Moly Junior Cup race as championship-leader Alex Dumas crashed out of the lead aboard his RC390R, and local rider Cory Ventura, aboard his YZF-R3 and in second place right behind Dumas, also crashed in the same corner. 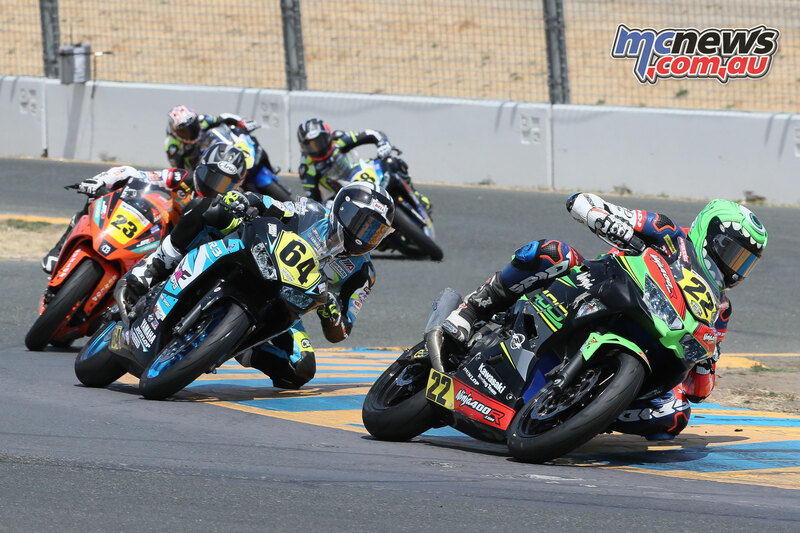 This flung the door wide open for polesitter Ashton Yates, who put his Kawasaki Ninja 400 into the lead and took the win in the 12-lap event. 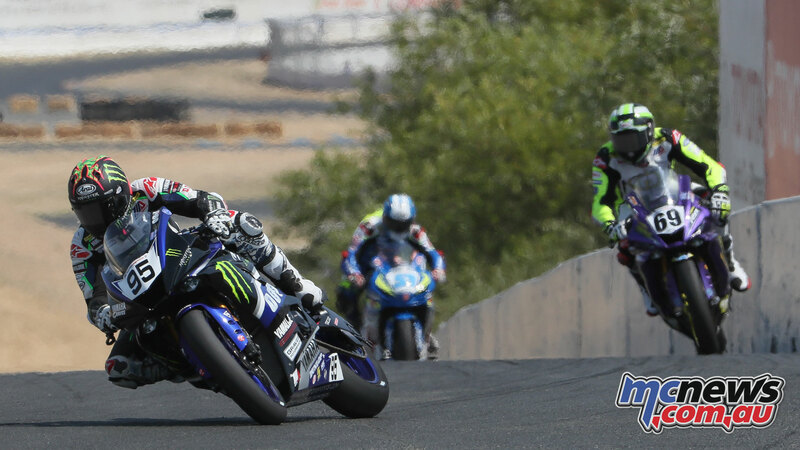 Yamaha R3 rider Jay Newton finished second, and Jackson Blackmon was third, putting a second Yamaha R3 on the podium. 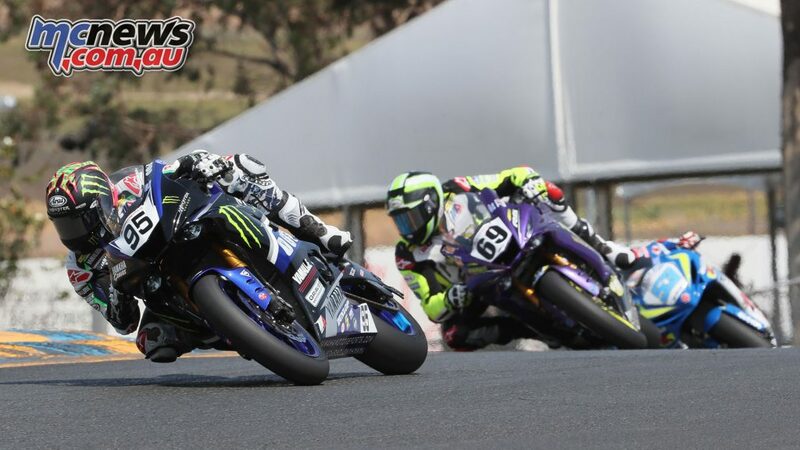 Local rider Cory Ventura showcased the skills he worked on at the recent Yamaha VR46 Master Camp that he attended, as he won Sunday’s Liqui Moly Junior Cup race for his first victory of the season and the first win of the year for the Yamaha YZF-R3. Second place went to Alex Dumas, the current points leader who came back on Sunday from crashing out of Saturday’s race. 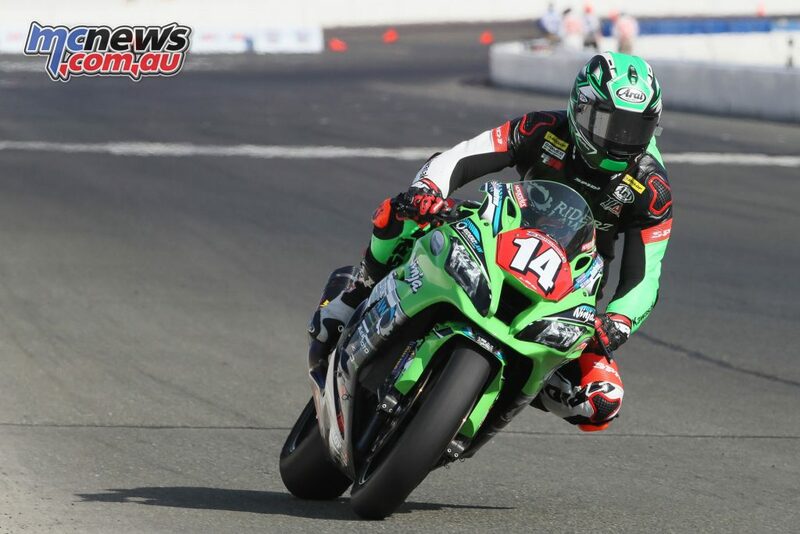 Ashton Yates raced his Kawasaki Ninja 400 to third place, completing a balanced podium with three different makes of motorcycles in the top three. 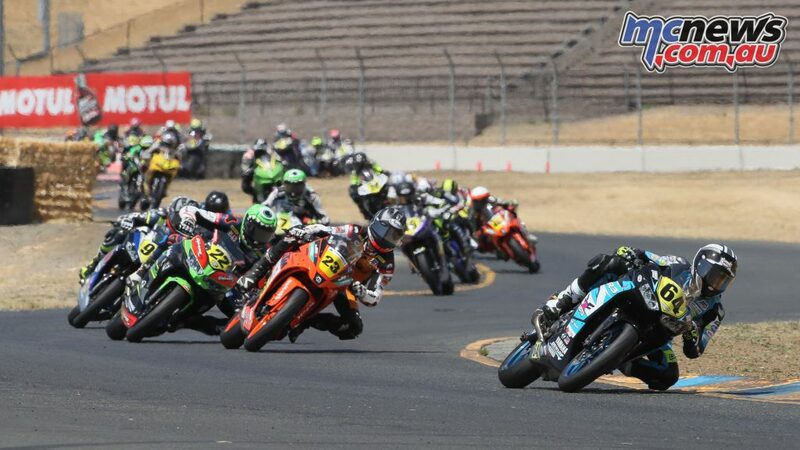 In Twins Cup, a class that has proven to be a showcase for fast club racers from near each of the venues that the MotoAmerica series visits, Jeffrey Tigert, who has raced a lot of laps around Sonoma Raceway, won by a little more than three and a half seconds over second-place finisher Chris Parrish, who extended his championship lead to 34 points. Third place went to Darren James, the Canadian traveling south from his home in Vancouver to race at Sonoma. 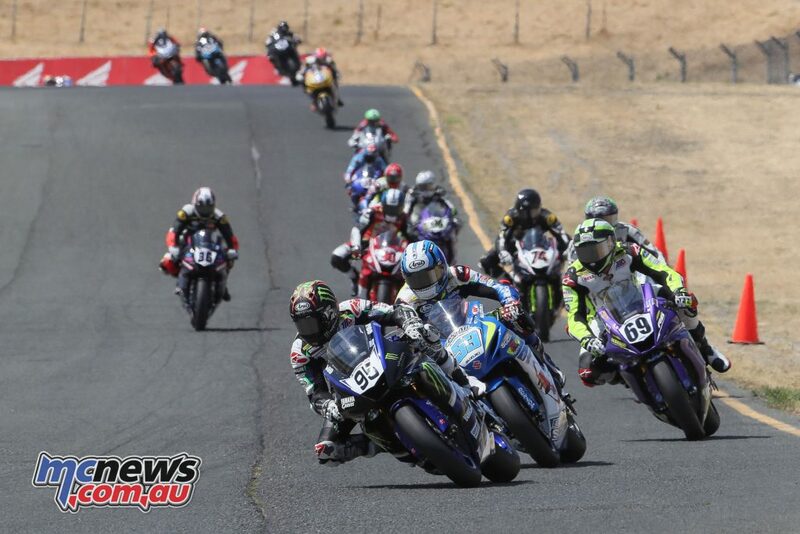 Local-rider race wins was a common theme of the Cycle Gear Championship of Sonoma as Andrew Lee joined Cameron Beaubier and Cory Ventura in notching victories at their home track. Lee’s win came in the weekend-concluding Stock 1000 race aboard his RiderzLaw Racing Kawasaki. 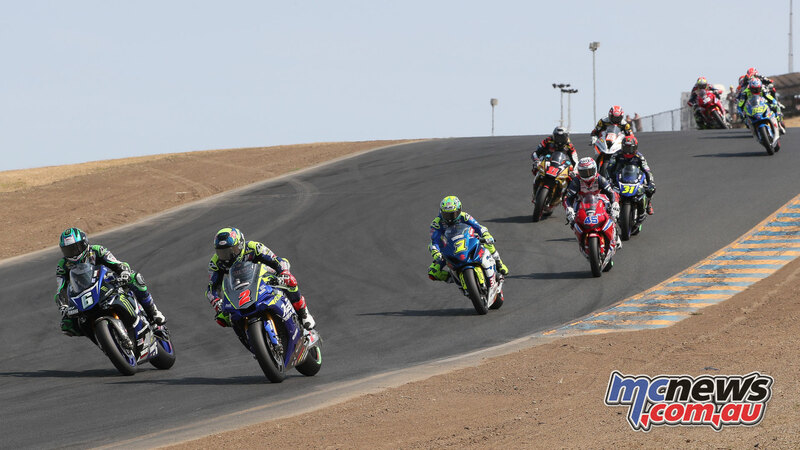 The Clovis, California, rider, fresh off his podium finish in the Suzuka 8-Hours endurance race, took the checkers by more than 11 seconds over Chad Lewin aboard a Yamaha. Travis Wyman finished third.